The Parish of St Mary the Virgin was established in 1884 as a Mission District within the ancient parish of Tottenham by the Bishop for East London, Bishop William Walsham How, who was trying to provide churches and clergy for the new populations moving into the area. The organ in St Mary’s was built in 1889 by Thomas Hill, son of William Hill, and is a particularly good example of Hill’s work, despite its small size. In 1892, a Choir organ was added by William Hill & Son, but the instrument has remained virtually unaltered since then. The action to the manuals and stops is mechanical with the Great assisted by Barker pneumatic levers and the action to the pedals is tubular pneumatic. The free-standing organ sits in a chamber on the south side of the chancel, in a case designed by the Cutts brothers, architects of the church, and decorated in the style of William Morris. Following a fire at the west end of the building, when soot coated all exposed areas of the organ, a decision was taken to cease tuning visits because of the danger from the pipes which had not been cleaned since 1925. The final tuning visit was in 1984 and shortly afterwards an electronic organ was installed.  The organ received a Grade 1 Historic Organ Certificate listing from the British Institute of Organ Studies in 2004 and a decision was taken to restore the organ to its former glory. In October 2009, Nicholson & Co. began dismantling the organ and removing the parts to its workshop for restoration. Re-installation of the organ was completed in June 2010 and an opening recital, given by Simon Williams (Director of Education at the Royal College of Organists) was held in November 2010. Photographs of the organ were taken throughout its restoration and these now form part of an exhibition in the church to provide information to schools and visitors on how an organ works.